In 1911 Beer was packaged and delivered in well made WOODEN Boxes. What was once old, is now new again. Everybody likes a good box. 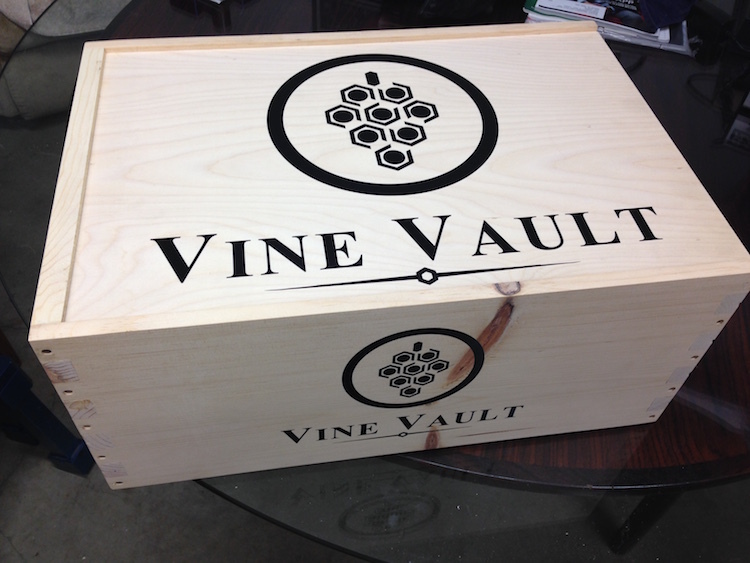 In 2013 the high quality wood shipping crate has returned. 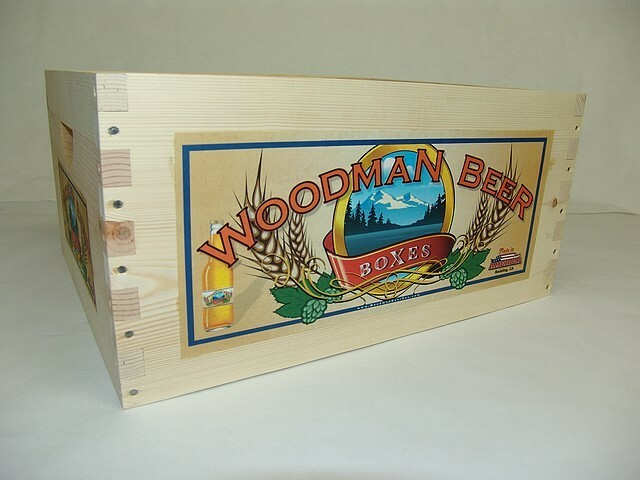 Fully assembled and labeled, the Woodman Beer crate replaces the cost of carton shipping containers while adding an intrinsic value to the 24 pack, case of craft beer. The crafted wood beer box is also far less likely to end up in land fills. Let’s also not forget that a well built shipping crate ends up being coveted as an heirloom that advertises the brewer’s wares into perpetuity. 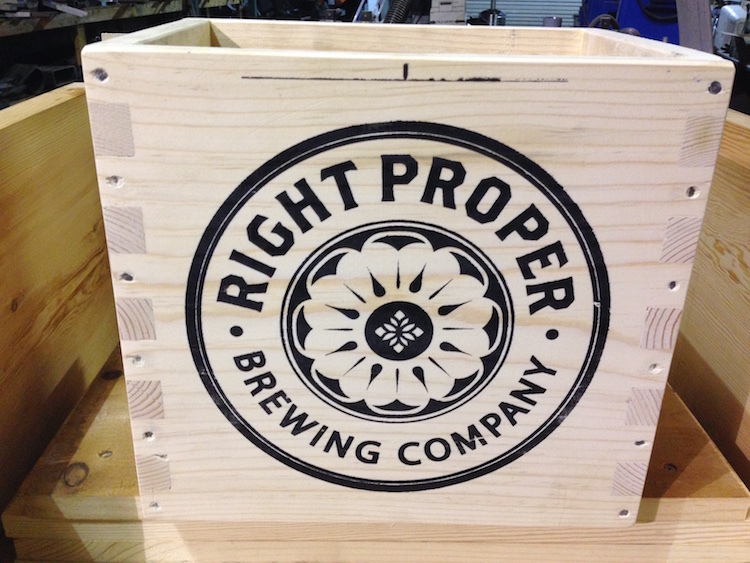 Manufacturing Wooden Boxes must be accomplished at a blinding pace to make them available to Craft Brewers at a price point that is reasonable to consumers and adds an additional income stream to Beer Crafters. 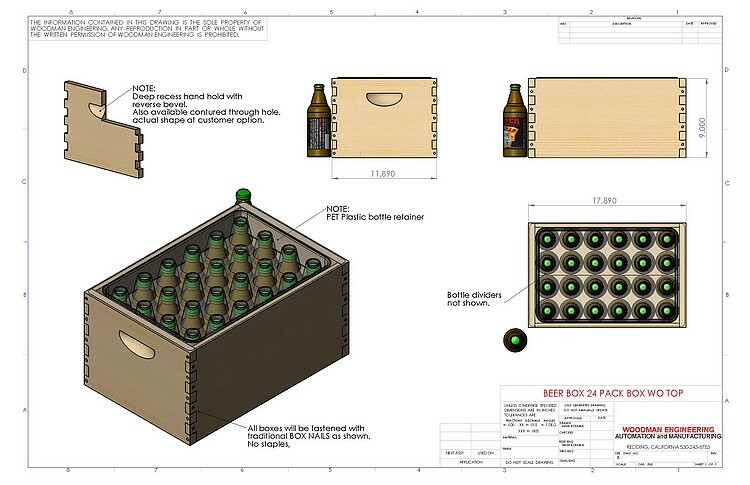 Our goal at Woodman Engineering is to be able to produce 60,000 assembled and labeled wood Beer Boxes per month. Woodman Engineering is a company founded in 2002, to design and manufacture automated production machinery. We make our own machines, what could go wrong? 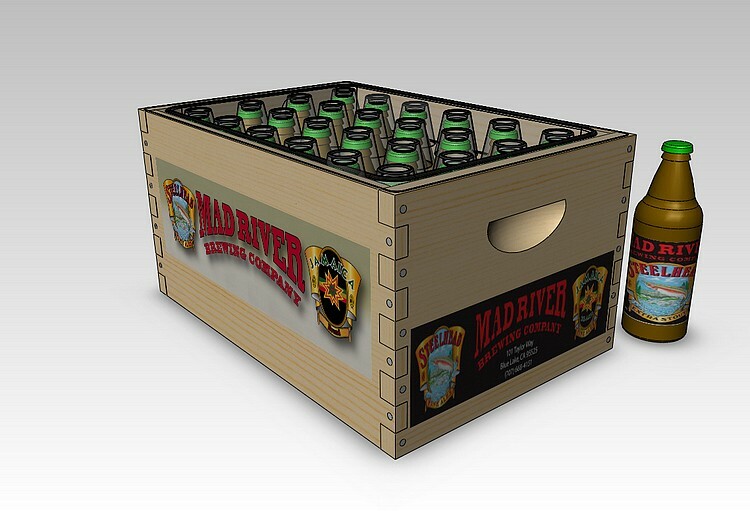 Making the Beer Box at a lighting pace is essential to being able to offer a high quality wood shipping container. With that in mind, there are standard features that must remain and cannot be altered. Most beer bottles are the same diameter hence the box interior dimensions are pretty consistent. If your bottles are of a unique size, adjustments can be made. Long neck bottles, however, require a panel size that will up the cost. Interior dividers should remain as with carton packages. Non traditional sizes cases can be made as well. 9 pack? 30 pack? 16 pack? We will be able to offer customer designed through holes after initial production rollout. (We make our own machines, what can’t we do). The current design is the same as the Bee Box. A working bee hive box can weigh up to 80 pounds, yes, eighty pounds and our current hand hold design reflects this. It does not protrude into the interior of the box. All Boxes will be nailed together with traditional 7d and 6d box nails. Galvanized. 36 in total, one for each finger. The result? Almost indestructible! That’s what makes them so desirable. 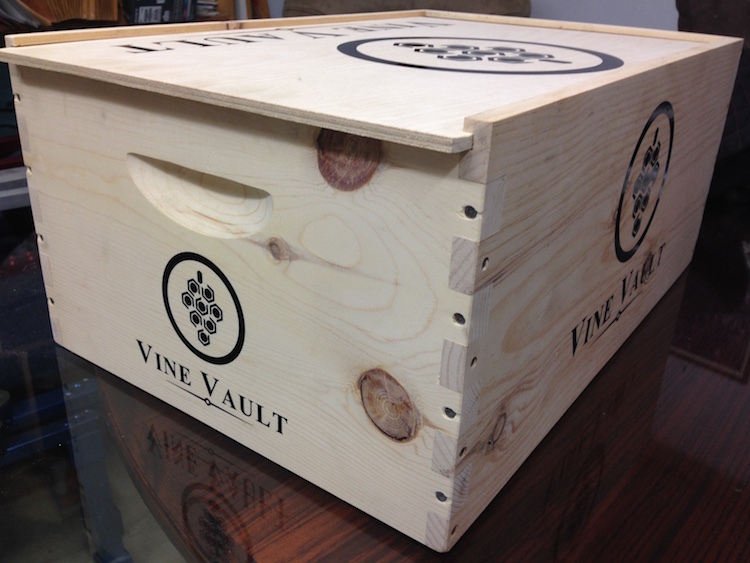 Boxes will be offered with a solid wood bottom, or plywood bottom at a lesser cost. A hinged top is possible, please call. 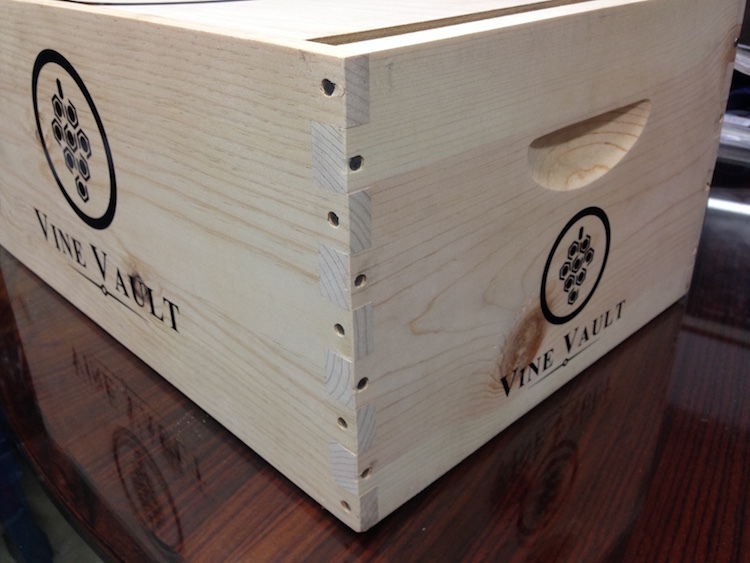 A sliding top to enclose the box is also offered at a step up in price. As production begins, full color graphic, paper labels will be offered. 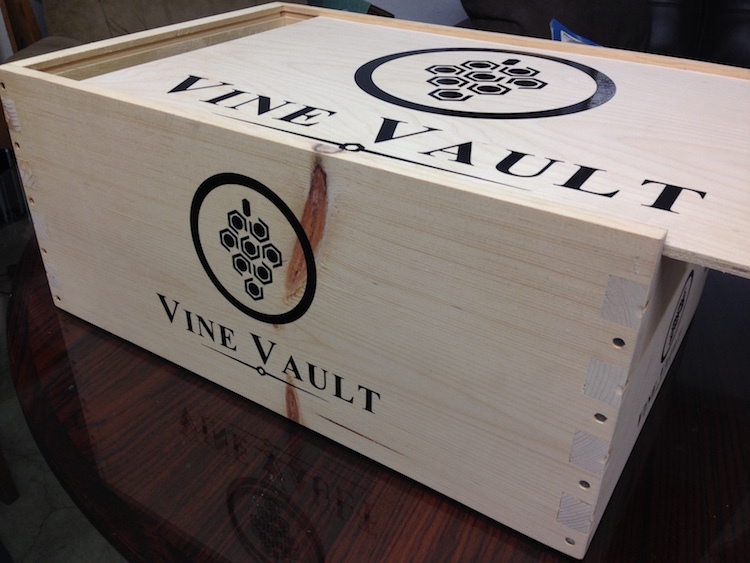 We also plan to offer THREE color embossed printing on the wood panels. It is expected that this will be the best price offering for graphics. The box will also be available with no labeling. Bottle retention is with a recyclable and made from recycled, PET plastic thermo formed retainer stapled to the top of the box. (For all boxes without the sliding top). All Boxes are without any wood finish or stain. The only exterior protection is the labels. All long side panels are 1/2″ thick, Ends are 3/4 thick. Bottom is 5mm thick, plywood. Solid wood bottoms are 7/16 thick. Quotes for box orders are only good for 30 days. Pine wood cost does fluctuate. Box pricing will be based on the current price of available wood supplies. If wood price were to double from the price in July, 2013, it would raise the price of the box to the wholesale market by about $2.75 to $3.50. Based on typical box size of 11.875 x 17.875 x 8.5″ (bottle Diameter 2.67 inches). Paper full color labels all four sides. 200 boxes – minimum order… $11.50 ea. plus shipping, Ca resale card on file.